In our vineyards we grow traditional and international variety using a low impact farming method called “Lotta Integrata” We produce white and red DOC and IGT quality wines. 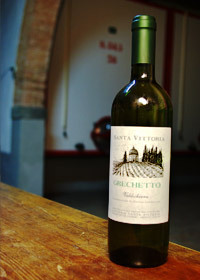 Varietal: 85%Grechetto, 15% Incrocio Manzoni 6.0.13. Winemaking: Soft crushing of grapes juice refrigeration at 10 °C and fermentation at 18 °C . 6 Months maturation on the lees and 2 months aging in bottle. 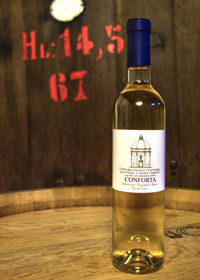 Description: Vivacious wine with a floral and fruity nose with flavors lime and citrus fruit muddled with pear and almond. We recommend serving white wines at 10℃. 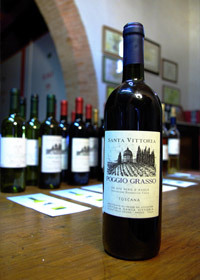 Varietal: 70-80% Sangiovese, 30-20% Pugnitello and Fogliatonda ancient Tuscan grapes variety. Winemaking: 10 days fermentation with maceration, pumping over and délastage and Microxygenation for about 4 months during ageing. Description: Elegant dark cherry and red berry fruit, cedar and tobacco with hints of truffle and leather, an unusually complex wine. It just seems far better than it should be, if that makes any sense. 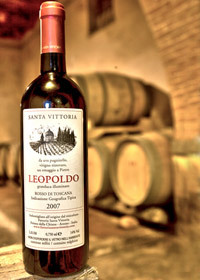 Varietal: 60% Sangiovese, 40% Cabernet Sauvignon. Winemaking: 12 months matured in French med. toasted oak barrique. Description: Intense ruby red colour tending to garnet with the ageing; persistent to the nose with scent of red fruits and spicy tones of pepper and coffee with full body and persistence. 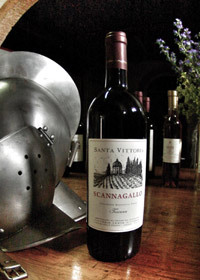 Varietal: 100% Pugnitello grapes, an ancient Tuscan vine rediscovered 20 years ago. Winemaking: The wine matures 12 months in french oak barriques and 24 months in bottle. 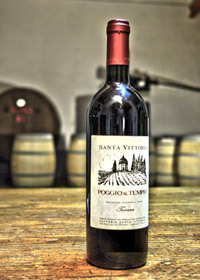 Description: Pugnitello grape translates into wines of a deep purple-hued red with pronounced blackcurrant jam and floral fruit, good acidity and tannines. 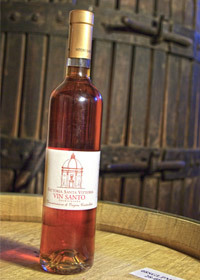 Winemaking: Matured in France barriques for 12 months with a bottle ageing of 18 months. Description: Warm scent of chocolate, blackberry and blueberry, fruity and pleasantly persistent. Description: Amber honey in colour, it has a warm, intense and persistent odour with scent of dry figs and almond; its flavour is velvety and persistent with remind of candy fruits. Varietal: Manzoni 6.0.13, Gewürztraminer and Sémillon. 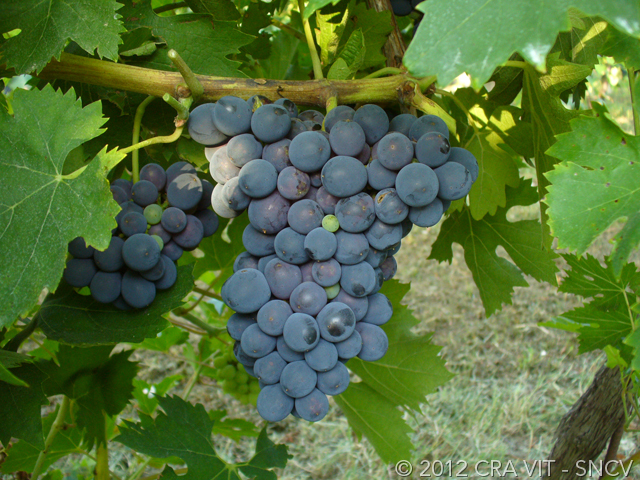 Winemaking: Harvesting occurs about 4/8 weeks from ripening. Vinification occurs without oxygen; matured at 3° C after steryl filtration, is aged in bottle for 10 months. Description: Scents of rose and sugar-coated almonds to the nose, soft and velvety well balanced to the mouth. In our vineyards we grow traditional Tuscan vines such as Sangiovese, Trebbiano, Malvasia and Grechetto and Tuscan ancient and rare vines Foglia Tonda and Pugnitello. We grow also international varieties such as Cabernet S., Merlot, Nero d’Avola, Manzoni Bianco, Semillon, Traminer. We produce around 35.000 bottles year and 8 different labels: 1 white, 1 rosé, 6 red, 2 dessert wines, doing a selection of the best grapes of our vineyards. We love make wines with original Tuscan grapes but we also love to enjoy verifing the potential of different type of other grapes variety. Our wines distribution outside Italy cover: Europe (DK, UK), USA (NY), Russia (Moscow). We sell also in Japan but just our extravergin olive oil. All our wines got several prizes and good evaluation from different contest, wine guides and magazine including Gambero Rosso and Winespectator. Pugnitello an ancient Tuscan grape with a great future just rediscovered in 1981. We produce our Leopoldo using 100% Pugnitello. We had a wonderful day at Fattoria Santa Vittoria. Mauro did a great job of hosting us for a private tour of the winery, tasting, and preparing an amazing 4 course meal that he prepared along with wine pairings from the winery. An amazing day with great people. Do you like to try our wine tour? Thel us you r wishes and we’ll to you back with our proposal!